The sun is out, the weather is warm, the flowers are blooming and my allergies are in full effect. That could only mean one thing – spring is here! I am so totally thrilled to be moving on from winter. I get so excited this time of year to open the windows and let fresh air in, to go on bike rides with my kids, and to watch my kids wear themselves out jumping on our trampoline for hours. 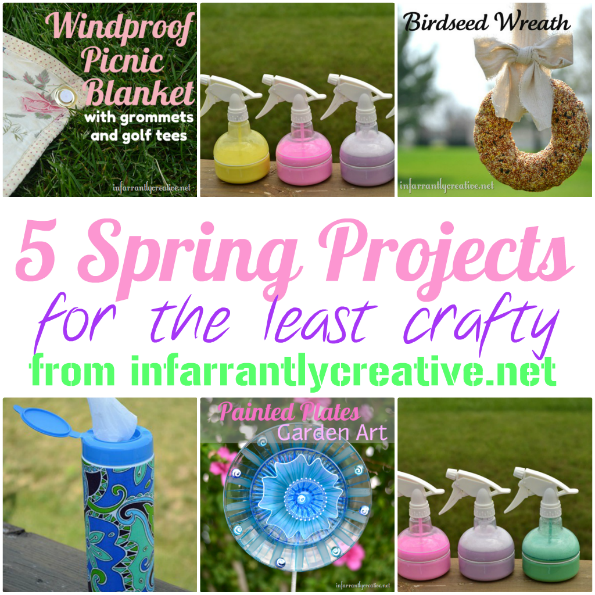 I thought I would showcase some of my older spring projects that are perfect for the least of the craftiest out there.